We will be combining Orienteering with our Easter Egg Hunt! An Orienteering Meet will be held in the morning. After 1 p.m., children who can walk through age 10 will begin their egg hunts. 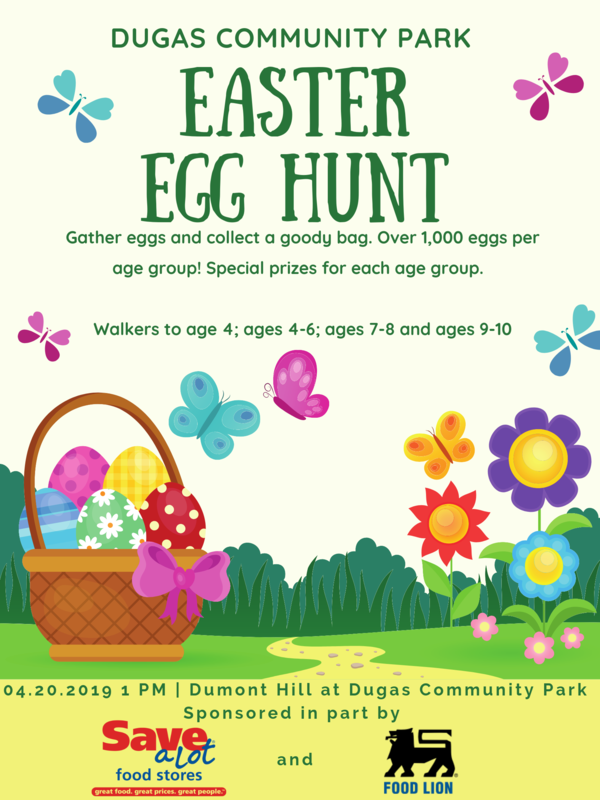 Age groups for the traditional Easter Egg Hunt will be walkers through age 3, ages 4-6, ages 7-8 and ages 9-10. Children will receive a goody bag for hunting. Each group will hunt over 1,000 eggs with special prize eggs for each age group! Older children are encouraged to participate in an Orienteering Egg Hunt! This group will also begin registration at 1 p.m. They will learn more about using a compass and how to read maps. After they collect an egg at each of the control points, and will receive a goody bag when they turn in their eggs!